The revolver speedloaders allow you to reload your revolver insantly. 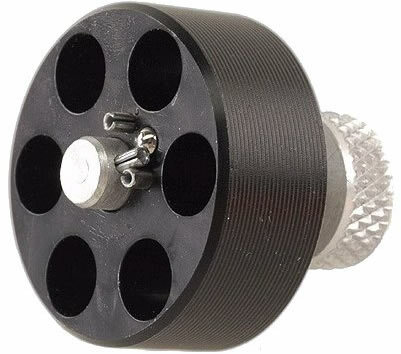 Effectively turns your six shooter into a twelve shooter, or even an 18 shooter. Sizes available for nearly any revolver.